Most translated, most adapted literary book in the world. 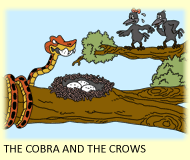 The Panchatantra is a compilation of inter-woven series of tales in prose and poetry, mostly animal fables. It was compiled in Sanskrit (Hindu) and Pali (Bhuddhist). The compilation, attributed to Pandit Vishnu Sharma, is considered by most scholars to be dated around 3rd century BCE, and to be based on older oral civilization. 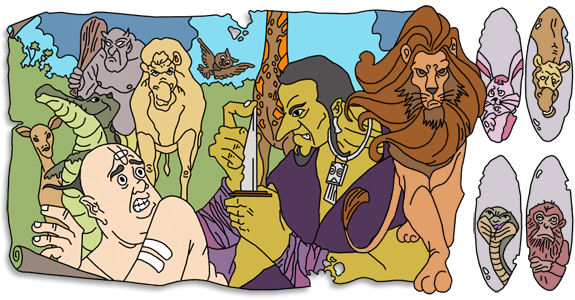 Through cross-border mutations, adaptations and translations, the Panchatantra remains the most popular work of literature, especially amongst storytellers. Tales of this ancient Indian work, the original texts of which is now long lost, portray the origins of the subcontinent's language and primitive lifestyle - apart from its objectives, according to its own narrative, to illustrate the primary Hindu principles of nïti - the wise conduct of life. Once upon a time, sitting by the fireside, man told his first story, and built the foundations of his own rule over his world. Stories gave the world shape. They established orders and challenged them, showed man the road to the future and helped him unravel the labyrinths of the past. India, with its ancient traditions, is one of the oldest, wisest and most enlightened nations in the world. Almost everyone in modern educated world is aware of the 'Upanishads', 'Vedas', and even 'Yoga'. There is no doubt that Ancient India has exercised great intellectual life, and has dazzled with fabulous antiquity, and with its literature. 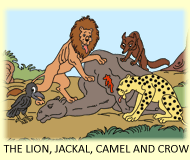 The Panchatantra is a unique contribution of Ancient India to the world, particularly to the world literature, that has equally delighted the young and the old, educated and uneducated, rich and poor, high and low - for over two thousand years. It has triumphed over the greatest obstacles of language, custom and religion, and made an unparallel progress from its native land to all the civilized parts of the globe - as it continues to delight everyone to this very day. This Indian collection of fables, reveals the basic knowledge of wisdom that makes one's life "richer, happier, and fuller". Because of its elegant style in which it packages the wisdom of the ages, it has the most profound influence on the world literature - amongst all works of Indian literature. 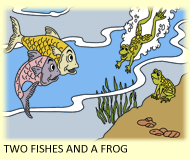 Panchatantra has served as a source, directly or indirectly, for many works of modern literature, which can be traced to Geoffrey Chaucer, John Gower, Giovanni Boccaccio and even William Shakespeare's works. In 1800 AD, Jonathan Scott epitomized the Bengal manuscript as 'Tales, Anecdotes and Letters'. 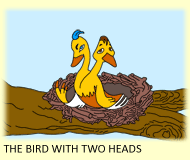 Most people in modern world may not have heard of the Panchatantra. 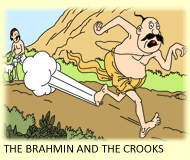 But anyone with any claim to literary education would be familiar to commonly used titles like 'Fables of Bidpai' or the 'Tales of Kalila and Dimna' - which are merely translations or adaptations of Panchatantra. The fact that even before 1888, there were at least 20 English translations of this great Eastern Classic - makes one wonder how widely circulated this book was. As a matter of fact, no other book, other than the Bible, have ever enjoyed such intensive worldwide circulation. Although the original texts of the Panchatantra are long lost, it survived through numerous commentaries and recensions. The most notable of them being the Hitopadesha by Narayana, Durgasimha's Kannada translation of 1031 AD, Purnabhadra's recension of 1199 AD, and Franklin Edgerton's 1924 reconstruction of the Sanskrit text of the original Panchatantra. It is evident from history that Panchatantra had an unprecedented impact on early scholars, as it travelled to Persia, Arabia, Greece and Europe. During the Sassanid reign of Khosru I Anushiravan, Burzoy, the court physician to the Emperor of Iran, translated the Panchatantra into Pahalvi (Middle Persian) language, as early as 570 AD. His work was further translated by Buda Abdul Inu, a priest, into Syriac 'Kalilag and Damnag'. 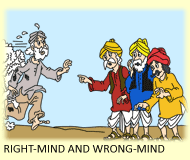 The title of this work was derived from Karataka and Damanaka, two jackals in a frame story of the Panchatantra. The manuscript of this work survives, and remains preserved. Burzoy's work was also translated by Rudaki into Persian verses. This Panchatantra's Pahlavi translation by Burzoy was further used by Abdullah Ibn al-Muqaffa for Arabic 'Kalilah wa Dimna' around 750 AD. 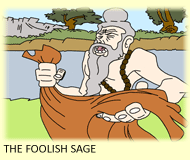 Around 11th century AD, Simeon, son of Seth, translated a version of the Panchatantra into Greek and Rabbi Joel translated a version of the Panchatantra into Hebrew. During 1263-1278 AD, it was further translated into Latin as 'Liber Kelilae et Dimnae, Directorium vitae humanae', which was printed in 1480, and around 1483 AD, Anthonius Von Pforr translated into German, and titled his work as 'Das buch der byspel der alten wysen', which was further used for translations into Danish, Icelandic, and Dutch languages. In 1493 AD, it was translated into Spanish, and in 1546 AD into Italian by Agnolo Firenzuola. In 1552 AD, it was again translated into Italian by Doni, titled 'La Moral Philosophie', and in 1556 AD it was translated into French. Sir Thomas North translated Doni's Italian work into English and titled, 'The Fables of Bidpai, La Moral Philosophie of Doni' in 1570 AD. 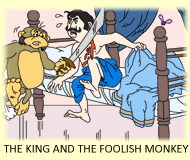 This was the first English translation of the Panchatantra. 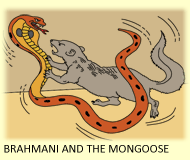 The initial version was partial, and it was reprinted in 1938 to include almost all of the Panchatantra stories. 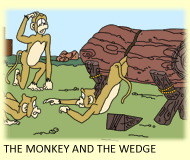 This made Panchatantra popular in medieval Europe, and the West. Many of the surviving historical manuscripts are found in Bhandarkar Library, Pune (India); Tehran Museum of Contemporary Art, Iran; Oxford library, Indian Office Library, London (UK); Tibet and Japan.